Last time I saw Tom Hiddleston I was gripping the arm of my sofa at the eye-popping sight of his naked derriere. That was in The Night Manager on TV three years ago. Since then, nothing. Had his star waned? His hour passed? His shtick withered? Judging by this West End comeback in Harold Pinter’s 1978 drama about a doomed love triangle told backwards, I’d say not. His mojo is still intact. 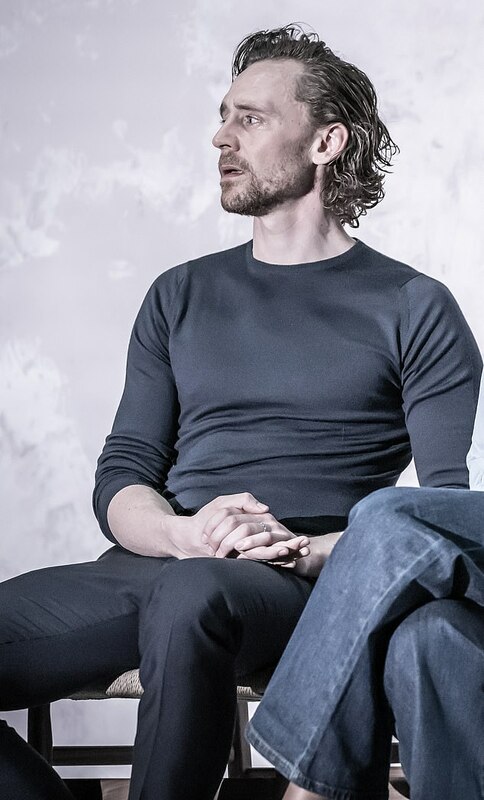 In so far as Pinter’s play allows it, Hiddleston is very good. The trouble is the play doesn’t allow much. Pinter’s dry, guarded characters are as famous for their silences as they are for their cagy dialogue. What’s more, Hiddleston plays a high status stooge whose wife is having an affair with his best friend. King Lear it’s not. Luckily for Hiddleston an actor can also be measured by his ability to stand around doing nothing and still create interest. Tall, handsome Tom certainly does that: ginger locks swept back to clear a path for his blue-eyed stare. A wispy beard is almost rugged. And his suit helps too: a midnight-blue body hugging number. Hands shoved deep into pockets Hiddleston spends long periods of the play contemplating the middle distance. There is some eyebrow action a la Roger Moore. A scattering of smiles suggests a sad inner life. And there’s a heart-stopping moment of silent tears when he discovers his wife’s affair. But he never gets to let rip. Hiddleston’s oaky voice snaps occasionally under tension and when it does we get strangulated barks that sound like the Nobel Laureate Pinter himself. He is at his most animated when stabbing a fork into a piece of melon while confronting his friend over a boozy lunch. Never less than very watchable, that is star quality. Even so, Zawe Ashton is more interesting as his wife Emma. She is a long, lithe, wriggling enigma torn between two men who give off little more than pheromones. Like Hiddleston, Charlie Cox is studiedly understated as her lover and husband’s best man. The play is over 40 years old and Jamie Lloyd’s taut production modernises it with High Street fashions and Soutra Gilmour’s pale Spartan set. And yet it remains a period piece scrutinising the small agonies of the metropolitan bubble in the 1970s. If Hiddleston’s to recapture the public imagination he’ll need something splashier.